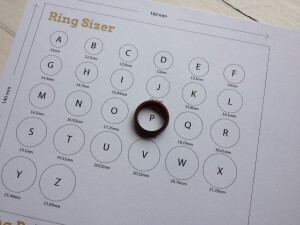 For your convenience, we have included a ring size chart on our website. 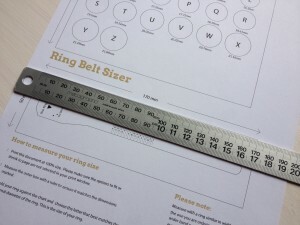 The size guides show the diameter in millimeters as well as circumference. How to print and measure is included on the form.